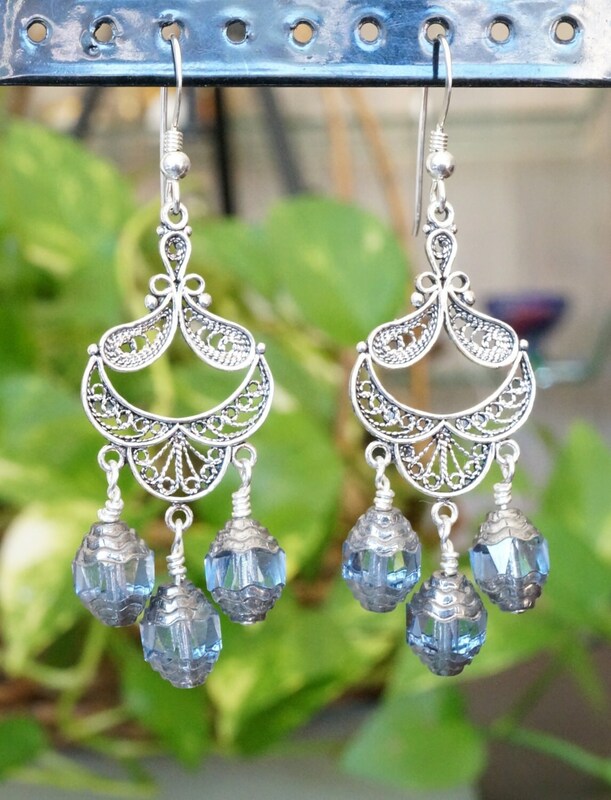 I made these chandelier earrings with Victorian style in mind, using the light blue Czech Cathedral beads. 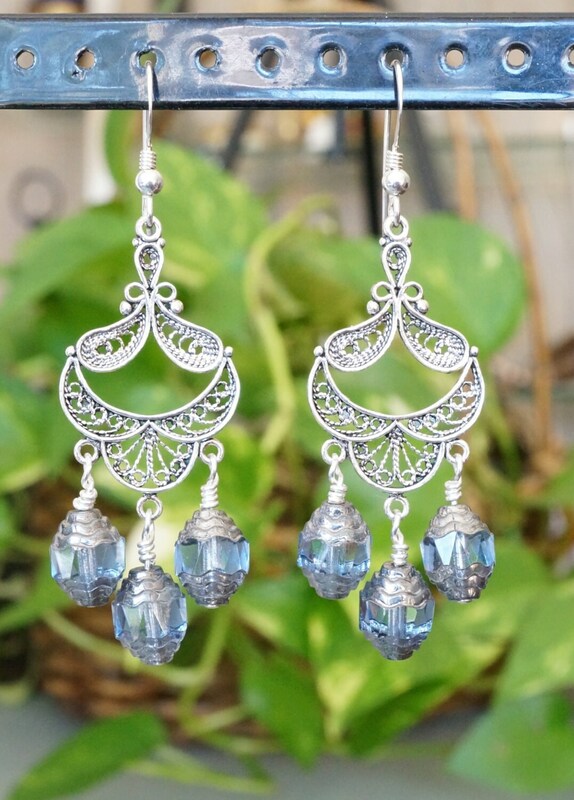 The ear hooks are sterling silver. The chandelier component is silver plated. They measure almost 2.5 inches long, and 1 inch wide. I can customize these with posts components, at no extra charge. Please let me know by messaging me at checkout. 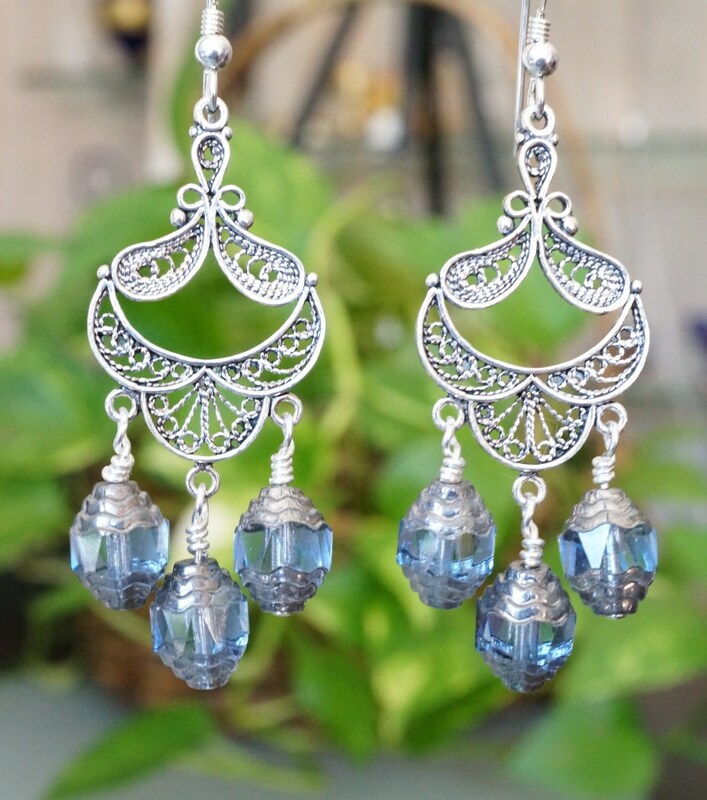 Please know that these earrings are one of a kind pieces. I do not repeat the exact design. You will be the only one to own it! Nobody else. That is what makes my jewelry so exclusive.